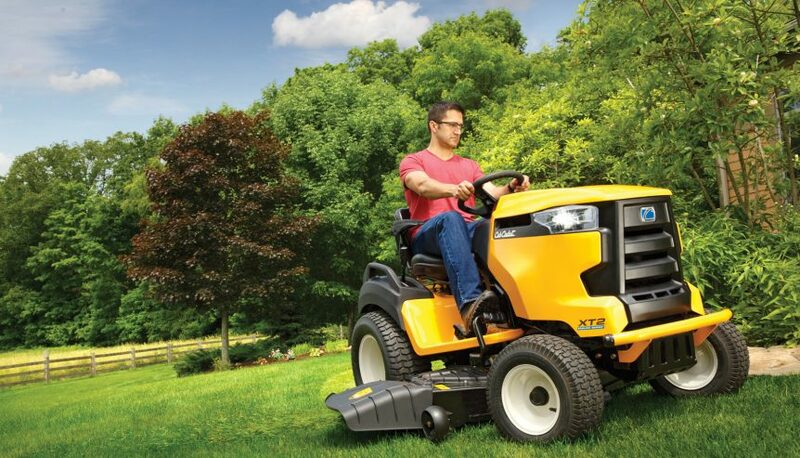 Cub Cadet’s range of lawn maintenance equipment is tough, dependable and durable. The new XT2 Enduro Series LX 42 EFI lawn tractor is the latest in a growing range of Cub Cadet machines that won’t let you down. The LX 42 EFI delivers high levels of power, control and durability making it ideal for the big jobs. 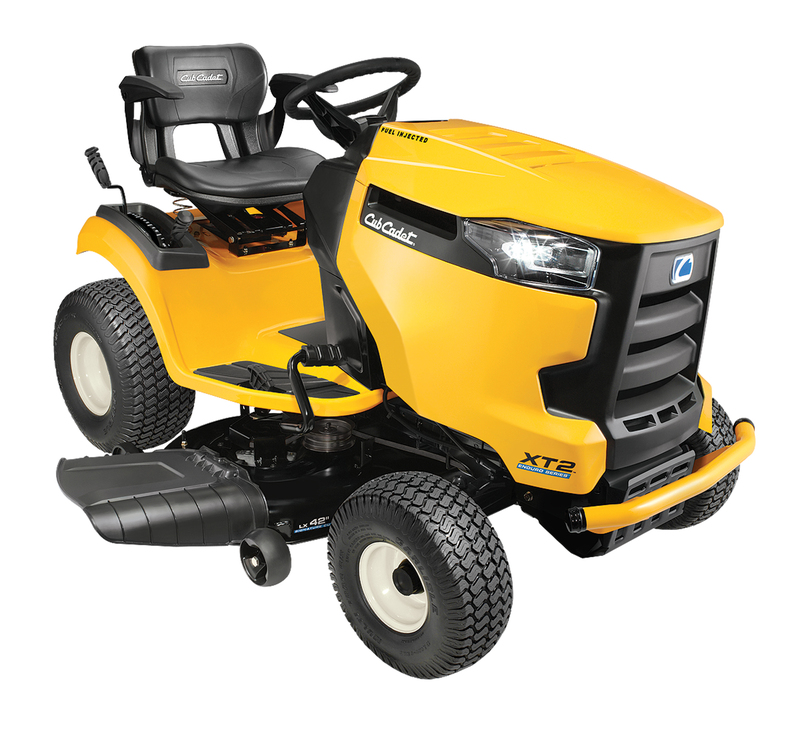 Thanks to a 679cc Cub Cadet® Electronic Fuel Injected engine, the LX 42 EFI enjoys superior fuel efficiency and requires reduced maintenance, while a 107cm (42”) side discharge cutting deck, auto traction control and hydrostatic transmission make for a clean cut and a smoother drive. Precision handling means the LX 42 EFI is second to none in tough conditions. A combination of auto traction control through the auto locking rear-diff and Cub Cadet’s standard Multi-Trac tyres provide the operator with the ultimate in safety, control, and maneuverability. Cub Cadet’s patented SmartJet™ deck washing system keeps the deck in optimum condition. Simply plug your garden hose into the inlet, and turn the tap to give your deck and blades a well-earned rinse. The LX 42 EFI comes equipped with a front bumper to ensure the protection of the core mechanical components, it also features a mulch kit as standard which provides a mulching option to promote healthy lawn growth. The LX 42 EFI is as comfortable and easy to use as it is tough, thanks to Cub Cadet’s Push-Button Start mechanism and a premium high back seat with armrests. The cutting deck is controlled via electronic PTO. The Cub Cadet XT2 Enduro Series LX 42 EFI is the machine when it comes to mowing medium to large sized blocks. The combination of durability, reliability, and comfort makes for an unequalled ride. Unit Warranty: 3-year unlimited hour domestic (includes powertrain). 90-day commercial. Engine Warranty: 2-year domestic warranty. 90-day commercial warranty.